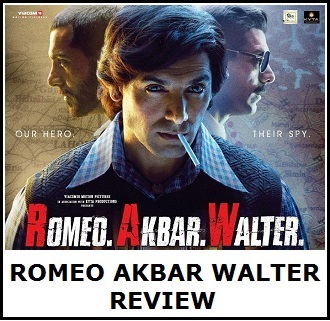 List of Romeo Akbar Walter (RAW) Movie Review from various popular critics and newspapers. Kindly bookmark this page to check all the reviews which will be updated accordingly. RAW - Romeo Akbar Walter is a slow burner and demands your patience for a good amount of the first hour. And once you blend in, it's a highly engaging and interesting spy drama. This is one of the few movies that makes you feel patriotic by the end. I am not a fan of jingoism and chest thumping anyway. Because the proceedings in the film and the narrative is subtle, the background score plays an important part and is good through out. The film is supposedly a one-man army who never throws a punch and saves the country numerous times. The strong narrative dips down with a bland script and a slow screenplay, enough that after every big reveal in the film, actors sit around talking about what they just did, what it means and how it’s going to change everything. Between all the patriotic films in and out of the theatre, the content quality seems to be dropping and so has the effort. In the movie, Srikant says that for a magic trick to work well, people should focus on one hand, leaving the other hand to do its trick. 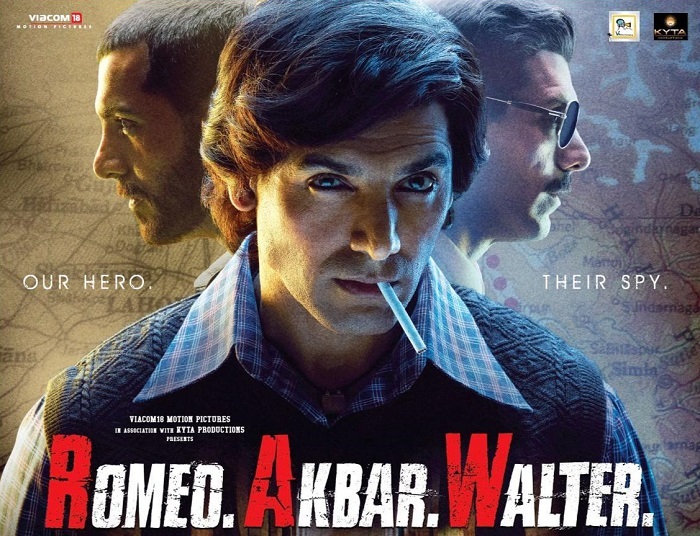 John Abraham and Robbie Grewal pull off a similar trick with RAW aka Romeo Akbar Walter. 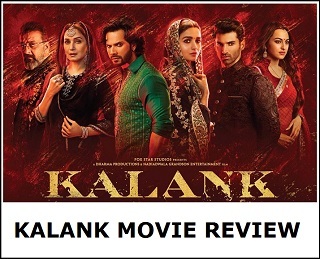 The highly engaging spy drama that almost deceives you by underplaying itself, only to deliver bucketloads of effective thrills and surprises towards the finale. Recommended! Romeo Akbar Walter is a film made with a lot of attention to detail. It is not melodramatic nor is it remotely jingoistic. If you love the espionage genre, you won't be disappointed. Just don't expect the high octane action you are accustomed to from Hollywood spy flicks. This one is more subtle and real. Spy movies speak their own language. British spies in the movies have confidential conversations in public parks, spilling secrets while feeding ducks. Our spy movies, mostly set between India and Pakistan, feature agents and double-agents chatting at qawwali performances, presumably thinking the wails will drown them out. Romeo Akbar Walter follows spy clichés dutifully and drowns us in minutiae, but never feels immediate or exciting. It’s a slow film, and the spies at the qawwali are played by John Abraham and Mouni Roy. The script might have looked interesting on paper with its share of dramatic twists. However, flawed execution, lacklustre storytelling, languid pace and far-fetched writing, makes this one a tad hard to embrace. You appreciate the no-nonsense narrative but it struggles to keep you engaged. RAW has its moments but is rough around the edges. The climax is audacious and you need to suspend your disbelief, if you plan to watch it. Although RAW has an interesting premise and noble intentions, what proves to be the film’s biggest undoing is its completely obvious trajectory. There is hardly any tension or suspense to bind us to the proceedings. Nor is the performance by the lead compelling enough to make us want to root for him. RAW overall is a raw deal with nothing new to offer. It leaves us with an important lesson. A film can be about anything but what it shouldn’t be is boring ! Sadly we yawn our way through its 144 minute runtime. If you are a spy film buff, you’ll definitely see the problems in this movie especially how it builds the climax and how it barely manages to keep your attention. However, if you want to know how Raazi would have looked like on testosterone, watch Romeo Akbar Walter. Would an Indian secret agent who’s being tailed for his suspicious association with an illegal arms dealer lock lips with his nation’s diplomat in a car in Karachi? But when his cover is blown and he’s being hunted for allegedly plotting to bomb the neighbouring country’s army chief, he outruns those who pursue him to seek refuge in the very home where he was previously arrested from. Clearly, common sense is not very common in the secret service. A good spy thriller has to have a plot that is plausible. That is something RAW lacks. With a very old-school esque tone and lacking on some mystery, this film is quite a forgettable affair. See it if you are a John Abraham fan, but if you want to see a haunting and exciting espionage thriller, select another. With enough twists and turns to keep you on the edge of your seats, ‘Romeo Akbar Walter’ is a smartly executed film that never beats around the bush. It is also a worthy tribute to those spies who live their entire lives in incognito mode and risk their lives selflessly. A worthy watch this weekend even if you are not a John Abraham fan. Watch out for the two twists towards the end. They’ll make your jaw hit the floor. As the espionage thriller’s lead actor, John, who plays a cucumber-cool spy, stays within character. But he is let down by mediocre writing and amateur direction. As a result, the pace is sluggish. The twists and turns don’t hold. Even the sole chase sequence seems to drag. Add to that the revelations are followed by explanations of how and why. Where are we? In Kindergarten?